An elegant sculptural cascade fountain for both patio or indoor areas. 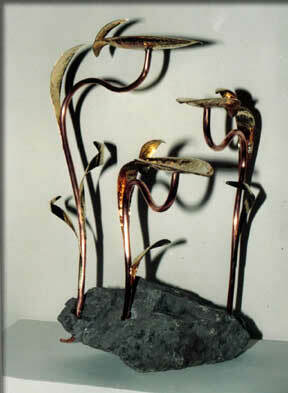 This beautiful piece is hand sculpted with brass leaves and copper stems. The water is pumped up to the highest level and it cascades down from leaf to leaf to the water below. The stems are anchored in a natural limestone rock. 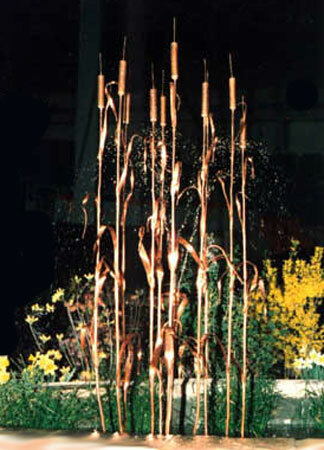 Created for a special secluded garden this delicate copper fountain symbolizes the beautiful Lotus flower. Water gently sprays from the centre of the Lotus and falls softly down the leaves to the pond. 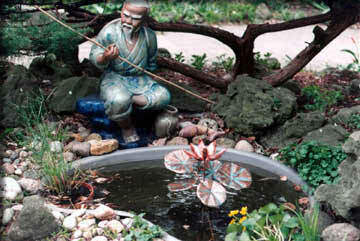 A whimsical fountain for an outdoor water garden this humorous feature sprays water from a central nozzle head. 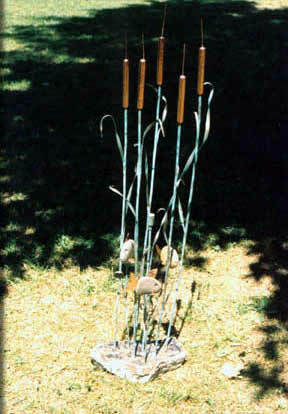 Three smiling 'Rock Bass' made from Lake Ontario beach stones swim happily around 3' tall patinated copper bullrushes. 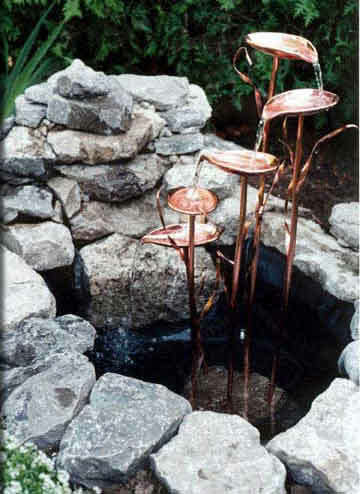 This magnificent 5' tall bullrush fountain has removable upper heads for ease of relocating the heavy stone bases. Installed in the Venture Inn, Dixon Rd.,Toronto. A view of our first bullrush fountain in our backyard pond. 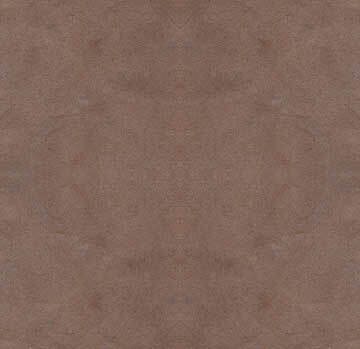 Made of copper with a green patinated finish applied to be more natural appearance in the garden. 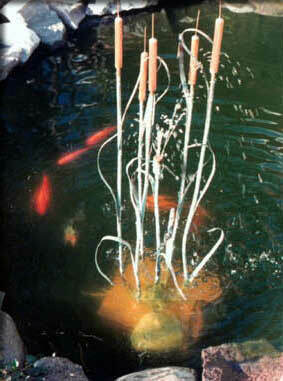 The stems are anchored in a large limestone rock and the water is pumped up through a central spray head.